The effects of industrial noise has for a long time been underestimated. Many people have termed it a nuisance, when in reality, it can pose a threat to human health and environmental safety. This kind of noise does not only come from industrial facilities. Commercial premises, shops, and offices also deal with industrial noise. Because of the hazards associated with this kind of noise pollution, Pathfinder Systems has come up with measures to limit noise production. Less industrial noise production in the work space has been made possible by utilization of stainless steel sound enclosures. 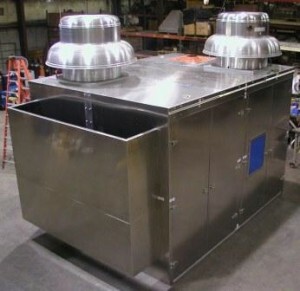 They are durable- Stainless steel sound enclosures should last a long time due to the durability of the materials used. They should have a warranty- A warranty is always an assurance of quality and the manufacturer’s confidence in their product. Businesses should seek out a reputable company with proven results, such as Pathfinder Systems, when looking to decrease industrial noise in the workplace. Choosing a quiet environment with stainless steel noise enclosures for your employees will definitely pay off in the long run. Productivity will increase and the health risks of constant noise pollution will be minimized. The simple fact is that we cannot get away from using machines, however, thanks to technology, it is possible to have a quiet machine and an even quieter environment to work in.